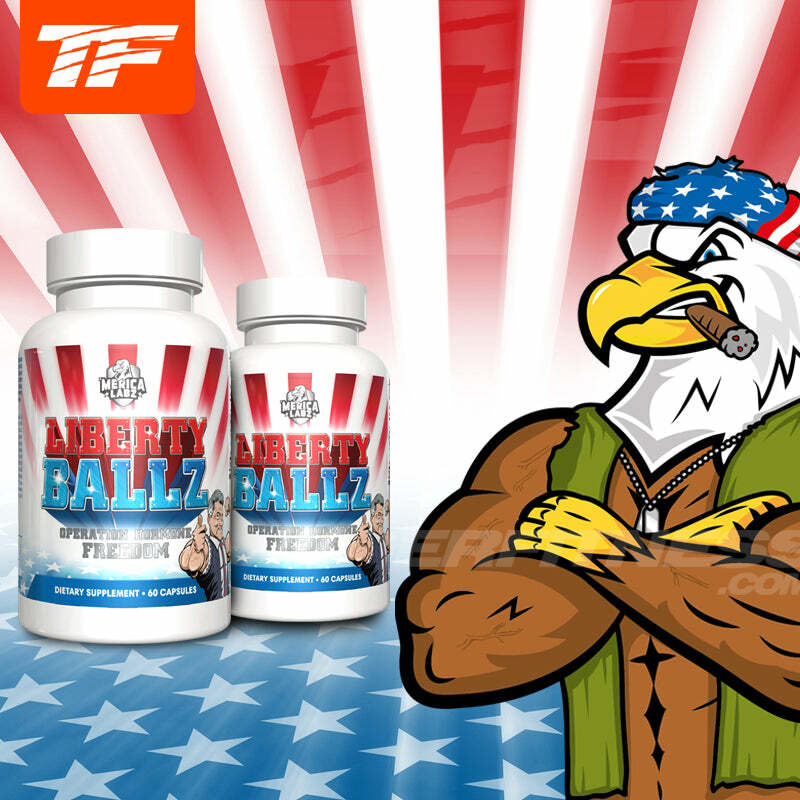 'Merica Labz Liberty Ballz | Testosterone Booster Liberty Ballz is the ultimate testosterone booster that fueled Americans to win World War II and ultimately kick started the baby boomers. Operation Hormone Freedom is in full effect as Swole Team 6 has assembled the highest quality natural testosterone boosting ingredient profile known to man. Liberty Ballz by 'Merica Labz is the single greatest thing to happen since the movie Rambo came out and for good reason: 250mg of DIM, 600mg of Fenugreek Extract, 400mg of Splianthes Acmella and 200mg of Eurycoma Longifolia will turn your body into a true warrior like those who stormed the beaches of Normandy. Naturally increase libido and become a nazi defeating machine in the streets and a freak in the sheets. Take 2 capsules preworkout on training days. On non training days, take 2 capsules with any meal. This product is only intended for use in healthy adults 18 years or older.